Of course the debunkers will say it something else but who is really listening to the debunkers. They would debunk the sun coming up every day. Its time to take this UFO phenomenon to the next level with more investigations and discoveries by the public. 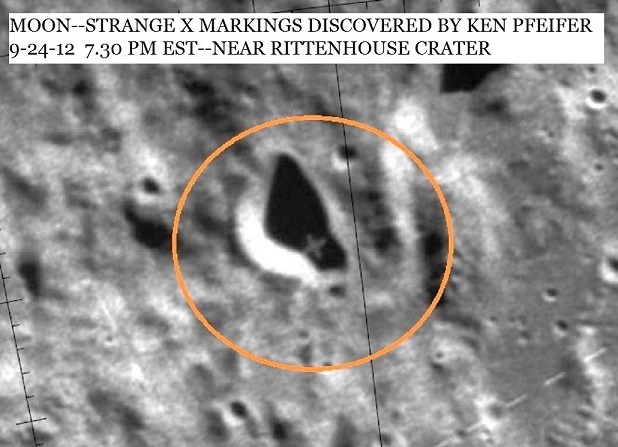 You do not have to be an investigator or scientist to find these amazing objects on the planets and the Moon. You just to have the determination and passion to be one of the best Ufologist. Joining MUFON is a great start. You can become an investigator with in a couple month. Take the easy test and pay the small fee for the testing information and you will be privy to all of the UFO sightings throughout the world and the real investigations. Being an inside in the UFO community is the best. 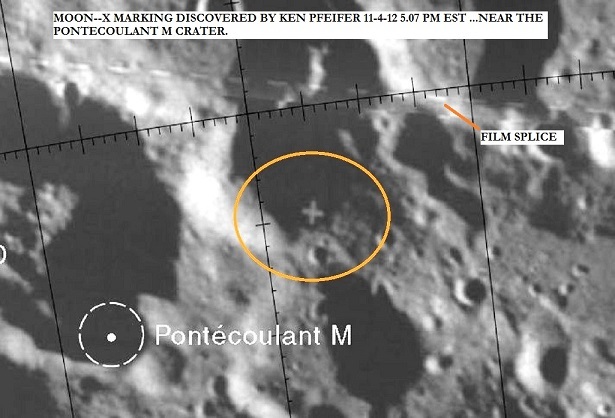 The top header image is the moon base I discovered on the Moon. The date was 9-14-12 when I found this very strange image. 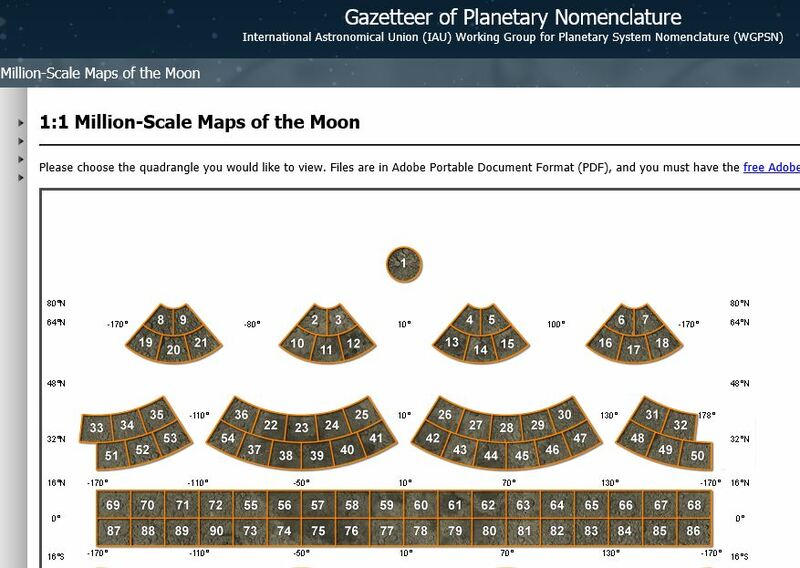 If you download the free google earth , you can then go to google Mars and the Moon. Just click on the Saturn image at the top of the page. E-MAIL ME AT FALCON51@COMCAST.NET and I may publish your findings on my web sites. Make sure you add the discovery information on the photo like I did in this article. This protects you from other sources stealing your findings. We work hard for these discoveries and do not want others taking credit for our hard work. Simple as that. 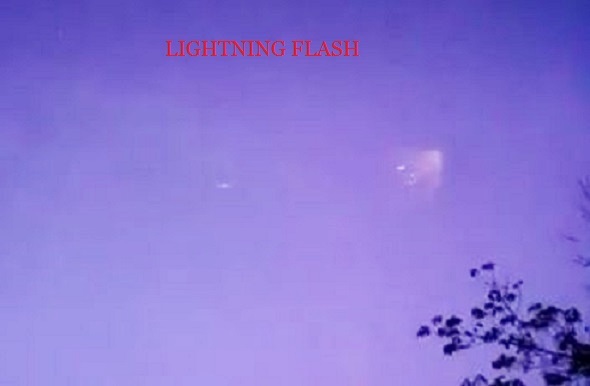 The objects were moving through water at over 420km/h, and divers 50 meters deep in a lake saw humanoids in silver suits. After the British Ministry of Defence published documentation about UFO research a few months ago, the Russia navy followed, writes Russia Today. I think about underwater bases and say: “Why not? Nothing should be discarded. Skepticism is the easiest way: believe nothing, do nothing. People rarely visit great depths. 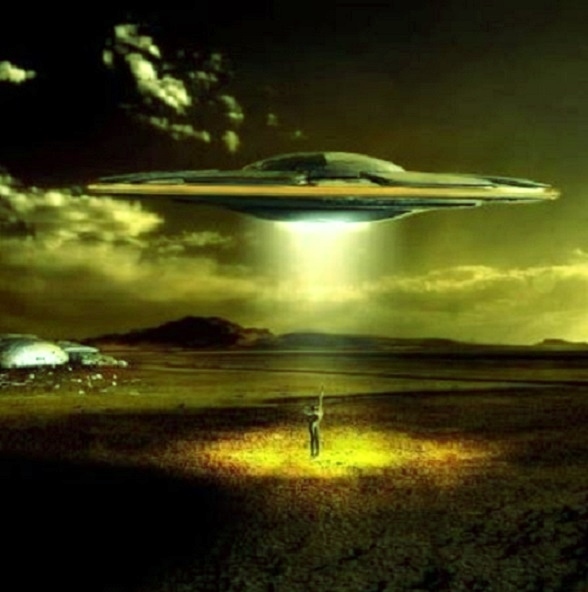 So it’s very important to analyze what they encounter there.” “The documents have existed since the time of the Soviet Union, and the former navy official responsible for researching UFOs, Vladimir Azhazha, said for Svobodnaya Press that the materials they found are of great value. “Fifty percent of UFO encounters are connected with oceans. Fifteen more – with lakes. So UFOs tend to stick to the water,” said Vladimir Azhazha for RT. The group which was led by the commander of the Russian navy, Nikolay Smirnov, gathered lots of evidence about unidentified flying objects, which they encountered numerous times. On one occasion a Russian nuclear submarine, which was on a mission in the Pacific, ran into six unknown objects. After some time, the objects simply took off and disappeared into the air. The retired Russian submarine commander Admiral Yury Beketov said that he had many encounters with UFOs in the Bermuda Triangle. 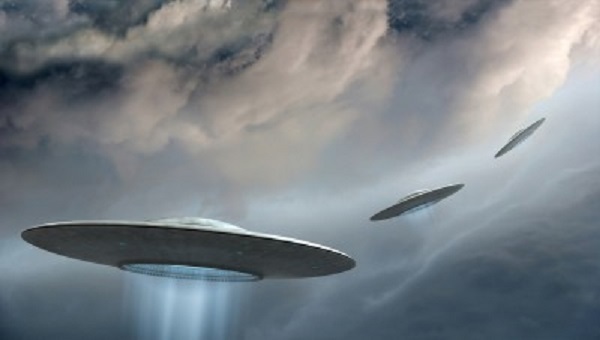 UFOs most often seen in Caribbean and Bermuda Triangle. 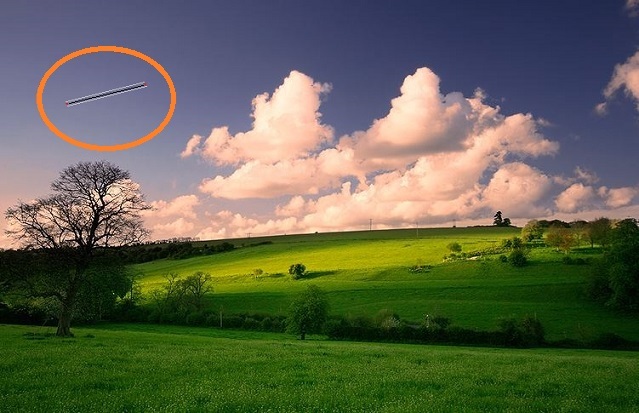 Beketov says that they noticed objects travelling at an incredible 426km/h on radar. This speed is even too fast for travelling on land, and when we take into account the pressure of the water, it seems these objects defy all the laws of physics. “There is one explanation: the beings that made them have certainly surpassed us,” he says. The former Russian intelligence official Igor Barklay says that UFOs were often seen in the Caribbean, in the deepest parts of the ocean. Besides that, they appeared in the Russian Baikal Lake, known for its great depths. 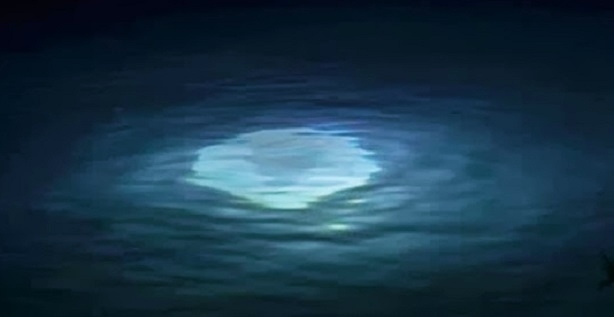 A fisherman witnessed such an object, who says that a strong light came out of the depths, and then the object came out of the water. During an exercise in 1982, military divers at the Baikal Lake noticed humanoid beings in silver suits at a depth of around fifty metres. They tried to catch them, but did not manage to. NOTE The above image is a rendering. My mother has asthma and C.O.P.D. which means I smoke on my back porch. Every night for several months, going back as far as New Year’s , give or take a couple weeks, whenever the skies are clear, I observe the exact same craft in a window between the hours of 10pm and 3am. It always appears in the same part of the sky to the southwest, hangs there for no less than an hour, often times longer, before slowly beginning to drift away from my location on a southwest heading. To the naked eye it first appears to be a typical commercial aircraft with typical night flying lights. It is only when you look at it long enough that you realize it’s not moving in any direction, it simply hangs there in the sky. Then it appears to be a commercial aircraft that is stationary in the sky with multiple strobes flashing in very, very rapid succession. Through binoculars, a shape or outline of a craft is not possible to make out. What is visible is a single intense yellowish light that occasionally pulses very slowly. On the right of this slowly pulsing yellow light appears to be a sometimes single, sometimes multiple very visible red strobe that flashes in a manner so fast and bright I would almost describe it as aggressive. On occasions when there appears to be multiple red strobes, it appears that one is directly beneath the other, and sometimes it seems a third one is visible on the left side. Also to the left of this yellow “main” light is a single green strobe, which also flashes extremely fast, but slightly slower than the reds. It also often appears as though the craft is either changing shape or possibly rotating on an axis, as often to the naked eye it appears to go from a horizontal series of strobes to a much more compact mass of lights. Sometimes through the binoculars it also appears to give off smaller singularly lights, usually the same yellow as the “main” light. These smaller off-shoot lights appear to separate from the main entity of strobes and either very briefly orbit around it or sometimes seem to ‘dance’ or ‘play’ with each other before rejoining the main body. These off-shoot events are infrequent and last only a few minutes. I watch the object as long as I can before losing visual on it as it drifts farther and farther away into the southwest night sky, always very slowly. My home is located near a small municipal airport which rarely handles traffic larger than a Cessna type aircraft. I am also approximately equal distances from Philadelphia International, Atlantic City International, and Dover AFB. I have observed a variety of aircraft flying over my house or on a flight path that is nearly over my house for years, always from the south to a north/northeast heading. I know what commercial jets, turbo props, and light aircraft all look and sound like in the sky. I swear to you this is not an airplane, nor a helicopter. It hangs stationary in the sky and moves away, and despite never being able to determine a solid hull or shape or outline, I can best describe its movements and behavior in the sky as being similar to a blimp or some other form of airship, but no such aircraft (to my knowledge) are known to operate in this area, especially late at night. I live with my mother, and I have kept this from her since the very first time I saw this craft. Despite the fact that in her life she has had three different sightings herself , one of which a frighteningly close encounter with a massive craft at treetop level which left her extremely frightened, I decided not to tell her about it until just days ago. I can’t tell you why. I just felt it was something best kept to myself. A few days ago I finally told her. During a sighting of the craft I called her to the back porch, pointed it out to her with the naked eye and handed her the binoculars. She sees what I see. Unfortunately, our most reliable recording devices for picture and video are our iPhones, and between the craft being distant in the sky and the night sky being so dark, the phones cameras are not able to register it. The most recent sighting was tonight, June 25, 2014 at 1:30am lasting until approximately 2:20am. I should note that I have never witnessed this object appear in the sky. Every time I have seen it, it has already been present upon my stepping outside. 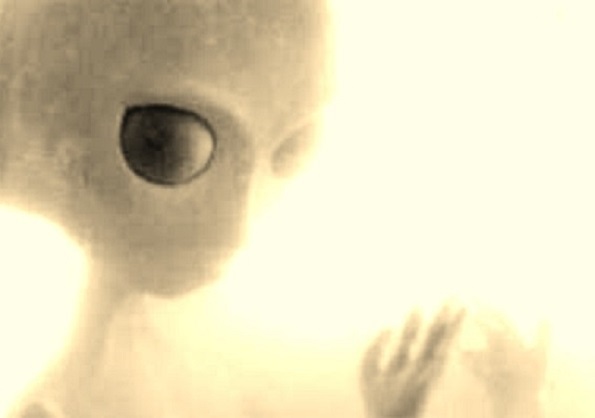 Many of my friends believe in UFOs and alien life, and that includes myself, but I am not eager for my experiences to be known to others. I know they’re up and out there and that’s enough for me. But this has been happening for so long with such frequency and consistency, I feel that it would be wrong for me not to file some kind of official report about this as a matter of record, so here it is. NOTE The above image is a rendering. We were driving home on a highway headed north. Husband was driving, I was in passenger seat, and daughter was in backseat. I saw a light ahead flashing that didn’t seem normal even from a distance , about quarter of a mile. My husband replied it might be a tower. I knew somehow that it wasn’t right. I couldn’t think clearly. All I could think was “Oh my God; this is wrong.” Then husband said maybe it was a helicopter. Within a few seconds we were directly under it in the middle of road. We stopped for approximately 10 – 15 seconds, but it felt like a lot longer. It was about 25 feet above us. I say this because I could see things on the bottom of it and when we drove off it was about ten to fifteen feet above the trees. 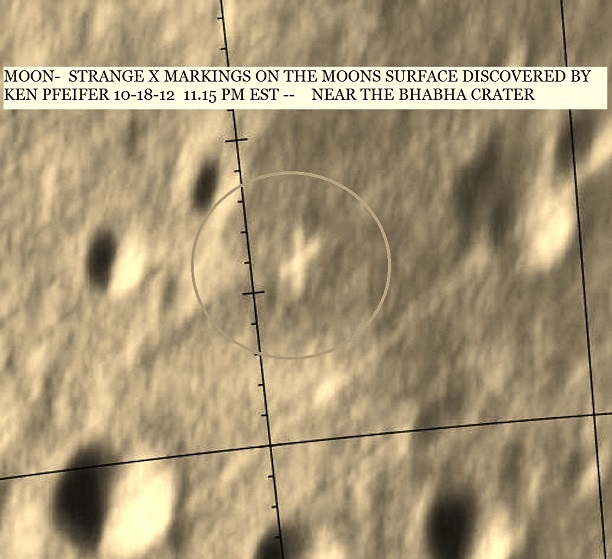 It was triangular, dull grey, darker long shapes on bottom. It had a brighter light in middle, two smaller lights on both sides of front point, two small lights on both sides of large light, then three lights across wider backend. The light was not normal. I don’t know how to explain it. The bottom was flat and had some sort of bars or legs that the lights kind of reflected off of. My husband wanted to get out. I yelled for him not to go. I was scared and wanted to get the hell out of there. He started to drive away and I grabbed for my phone to take a picture but was too shook up and scared to work my phone. It sat in same spot after we drove away. We could see it until trees started blocking it out. Three or four cars passed as we were driving and it still didn’t move. Later Husband and daughter said they couldn’t stop staring at strange lights. My husband acted happy and giggly. My daughter was scared also. NOTE: The above image is a rendering. I was driving southbound in the Port of Newcastle approximately ½ km from the shoreline of Lake Ontario. Southwest of my position and over the water of Lake Ontario, I witnessed a group of seven slow-moving aircraft. I guessed their speed to be comparable to that of ultralight aircraft. I judged them to be at a distance of less than five miles and approximately two thousand feet in the air. Their shape was not immediately discernible. Six of them were spaced evenly at approximately two hundred feet apart horizontally, with uneven variances in elevation of possibly 100 feet. The seventh was flying alone at a similar altitude, but following the formation at a distance of roughly 1 km. They were distinguishable at this time only by a crisp, bright circular orange light representing each craft. As they moved slowly through the sky, I judged them to be flying in a South to Northwest direction. 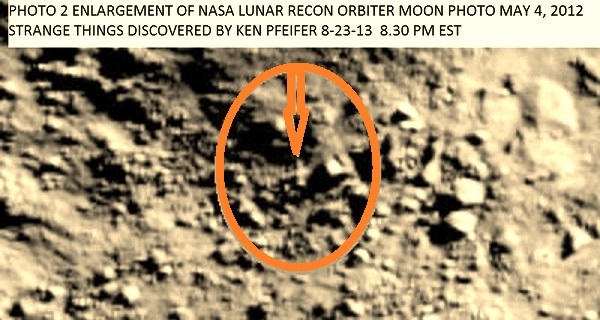 As they traversed an angle of approximately 70 degrees from my position, I saw the orange light flicker and disappear from each craft beginning with the lead vehicle. At this time I speculated that this was because the light was projecting forward from each vehicle, and as the vehicles passed by, the source of light was not visible from my angle of observation. Because the western sky was still relatively bright at this time of night, I was able to discern the shape of each vehicle in silhouette. All of them appeared to be perfectly round in shape. No sound was discernable from any of the craft at any time. Local trees began to obscure my view. Total observation time was less than two minutes. NOTE: The above image is a rendering. I was living in Jersey City at the time, and I was coming from my second job at a Video store, riding my bike, since it was only five blocks away and as I was one block from my house. I saw out of the corner of my eyes, what I thought was a meteor because it was coming straight down at lightning speed, so I looked up and it was like an orange fire ball when it was coming down. When it got to , I would guess 200 feet from the ground, it stopped and thats when I saw that it wasnt a meteor. It was a flying disk and it looked like it was a meteor because it was coming down on it edge but as it stopped it slowly began to turn right side up and thats when I saw that it was dark grey on top. Then it slowly turned on it edge and I saw the bottom. It had 5 pentagon shaped lights wich covered the whole under side. They were emerald colored and they were aranged one in the middle and the rest around it. Then it just shot up at a high rate of speed after being just hovering. It just accelerated so fast that my eyes could not follow it and it did all this without a single bit of sound. Thats why I know this thing was not made here. All flying machines made by us make sound and none had the flying charasteristics of this thing. I stood motionless as I saw it and my tears started to come out, I don’t know why, because I felt no fear at all, just an overwelming feeling of disbelief, and then admiration. I remember I stood there for about half an hour after it left, just looking up, and my tears coming out. I went home and never talked about it until a few years later. I just know that people look at you like you were on drugs when you talk about these things, so I kept my mouth shut, specially from my dad. NOTE: The above image is a rendering. Half a century ago, three Navy aviators saw something high above their Greenland base that baffled them. It was August 1952. I was officer in charge of a detachment of three Navy patrol planes operating out of the new US air base at Thule, in northwest Greenland, some 80 miles from the North Pole. The primary mission assigned our four engine, World War II Privateers was “ice reconnaissance.” That meant flying out over the Kennedy Channel, Smith Sound, Baffin Bay, and the Davis Strait and plotting the location of the pack ice and large bergs. That data was relayed to the ships that each summer re- supplied the chain of arctic radar stations known as the DEW (distant early warning) line. Our secondary job, not to interfere with ice reconnaissance, was to support a group of scientists conducting cosmic ray research. About once a week, when weather conditions were right, they sent up a huge, translucent “Skyhook” balloon with a package of sensative photographic plates sus- pended under it. The balloons would drift downwind at an altitude of 90,000-100,000 feet, where the atmosphere (spun thinner near the poles by the rotation of the earth) was sufficiently attenuated to permit the cosmic rays to make their telltale traces on the photographic plates. When the plates had been exposed for a few hours, the scientists would send a radio signal to the balloon, exploding a small charge, cutting the plates loose, and returning them to earth under a large, bright red parachute. Our job was to fly above any overcast, keep the high balloons in sight, and report the landing location of the parachuted plates for recovery by helicopter. The high-flying gas bags were equipped by low power, low frequency radio transmitters to which we would tune our radio compasses so their needles always pointed toward the balloons. These were easy flights, always in good weather and always at an altitude safely above the tall, cloud-shrouded bergs and coastel rocks we often had to dodge on ice patrol. Each of us had two or three of those “milk runs” while deployed to Thule, and we rather enjoyed the change of tactics and routine, as well as the virtuous feeling that we were helping to advance the cause of science. This is why I was surprised to find one of the other plane commanders as tense and pale on return from a balloon chase as though it had been a hairy combat mission or a close encounter with a berg or a mountaintop. Lt. John Callahan was a salty, steady professional pilot, so I knew when I saw him walking in from his plane that something serious had happened on that flight. Back in the ready room after the instrument pod had landed and its position had be reported, this was the aspect of the phenomenon that most affected Callahan. “Jesus, Ed,” he told me, “from the angle of the sky those things passed through in the three seconds they were in sight, at that distance, they must have been going tens of thousands of miles an hour. They must have pulled a hundred Gs in that turn. And what the hell climbs out, ACCELERATING from 90,000 feet?” John sat down that day, while it was still clear in his head, and wrote a full report of the incident. It went through the chain of command to the Office of Naval Intelligence. 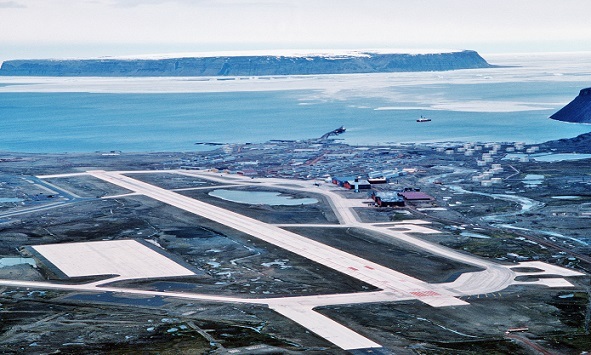 A report was also made to the Air Force authorities at Thule. There never has been an explanation, nor even an acknowledgment of the report. The phenomenon exists today only in the memory of John C. Callahan, his copilot, his plane captain, and I, to whom it was told so vividly when it was fresh. (Commander Stafford is the author of The Big E (1962) and Subchaser (1988) both published by the Naval Institute.) NOTE: The above image is a rendering. When Michael went out to catch pond critters, he never imagined that he’d catch a flying saucer. It was a bright, warm, lazy summer’s day in 1977, about mid-afternoon in rural Greenville, in Orange County. Twelve year old Michael liked to catch frogs and salamanders at a pond about a half mile back on grandfather’s farm. As Michael was walking back home through the fields, the hair on the back of his neck stood up, he tells us that it felt like someone was watching him. It was about that time that he noticed that the birds and animals stopped their noises. He looked around but did not see anything. 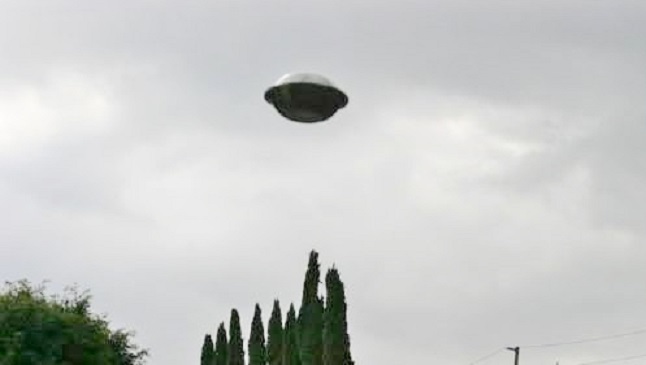 That’s when a voice inside of his head said “Look up.” Above him was a metallic disc shaped craft just sitting there in the air, “a flying saucer!” He tells us that it was a perfect circle, there were no lights and the hull was a dull grey color. The disc was relatively small, perhaps only 30-35 feet in diameter. Michael says the disc hovered about 200 feet directly above him. Naturally, he reports that he was sort of in a state of surprise and shock. That’s when he heard the voice in his head again, “Don’t be afraid, we won’t hurt you.” Adult Michael surmises now that it must have been some sort of telepathy. The youth felt a peculiar sensation for what seemed like 10 seconds. He wouldn’t feel anything similar to it for many years not until he was in the front row of a rock concert and felt the vibration of the speakers in front of him. Michael is clear to point out that while the rock concert sensation was similar; the vibration experienced with the flying disc was totally silent. Michael also tells us that the disc craft never emitted any noise, smoke, or flame. After the vibration sensation, the youthful Michael says he came to his senses and found that every hair on his body was standing on end. With that he began running through the fields screaming for his mom. When she heard her son screaming she ran out of the house to see was the matter only to look up to see saucer shaped craft hovering above. Michael says her mouth just dropped open. By this time the disc while still overhead it had begun to rise and was perhaps a 1000 feet above us. Neither young Michael nor his mother was able to identify anything on the craft that appeared to be a cockpit or control area. Finally he says that the craft suddenly flew off silently at incredible speed. Michael is now a middle aged law enforcement officer. He tells us that until now only his mom and he knew about this sighting; both of them feared that nobody would believe them. THANKS TO WWW.UFOCASEBOOK.COM AND Cheryl Costa. I took my dog out just prior to going to bed at 10:45pm as I do every night. We live on the third floor of an apartment building in Irvine California. I happened to see a bright whitish orange-yellow light ascending up over the trees in the southeast sky which seemed to come toward me like a plane’s head light (which is what I assumed it was), but then it just stopped and hovered where it was at. It seemed as if we’re possibly 3-5 miles away, maybe less. I watched for a moment or two and then hurried to put my dog inside while I grabbed my iPhone and headed back out and snapped several pictures. I then stood on the front walkway on the third floor of my building looking southeast and just watched it sit there for another 10 minutes hovering. During the time that the light was present, several helicopters were in the sky heading towards it. One of the helicopters had a search light, but the light was swirling around skyward instead of toward the ground as they do when conducting a typical search. I watched in amazement thinking there had to be a logical explanation and that it would eventually end up being a common object that I would be able to recognize, but it remained stationary. Then it was as if someone just turned out the light. It seemed as if it was still there after the light went out. 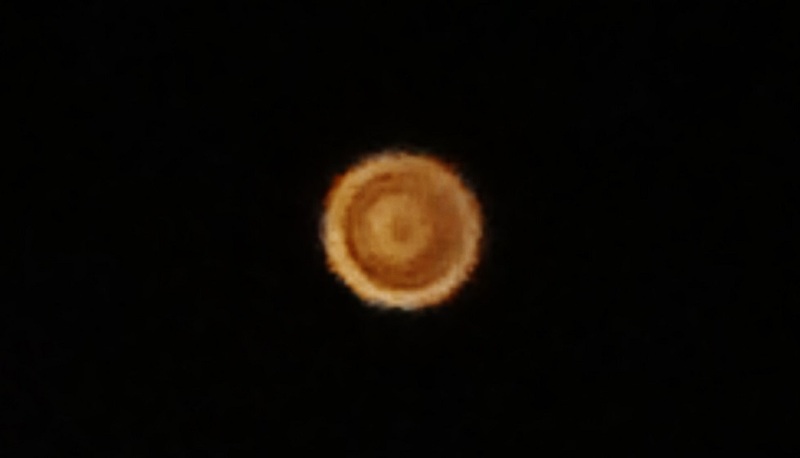 Upon examining my pictures, I noticed the light seemed to have a distinctive circular shape with almost a separate round spot in the center that stayed consistent in each picture whether it was a zoom shot or a regular one. Today, I google to see if anyone else had reported anything similar and a gentleman from Temecula,CA videotaped the very same thing last night as well. Temecula is to the southeast of where I am. When I was nine years old , in the summer of 1989, I believe I lived in a small trailer park in Colorado Springs, Colorado with my mother. My mother was dating a man who lived down the street from us. One evening when we were at her boyfriend’s trailer, they had an argument that lasted late into the night, and at around 3am my mother awoke me so that her and I could walk home to our own trailer. Our place was directly down the street from my mother’s boyfriend’s place. Our trailer park had a few street lights, but not many, and I remember it was extremely dark out. I held my mother’s hand, and my eye focus was on my feet and the street before me. When we were about four trailers away from our own trailer, the street lit up all around me and my mother. We stopped and looked up, and directly above us was a large, round craft. I have no recollection of seeing it move up to us, it was just there. Because I was a child at the time, and had no sense of measurement, it’s hard for me to now say exactly how far above us the craft was, but I’m going to guess it hovered around 30 feet above us. It was close enough that it literally took up the whole sky; I couldn’t see anything beyond it. It didn’t move, it remained stationary above my mother and myself, and we stood motionless watching it in return–I have no idea for how long. 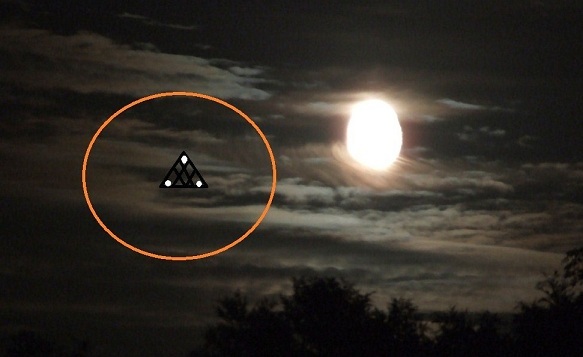 It was perfectly circular, and in the center were three, round white lights positioned in the shape of a triangle. The craft itself was a lighter gray color. There were rows of square, orange and green lights that curved with the round shape of the craft. I don’t remember exactly how many of the orange and green lights there were, or their exact configuration. It was like six or seven green lights in a row on one side, then a few orange lights in a row on another spot. I saw a lot of (I guess) tubing and mechanical looking stuff–I’m not sure how else to describe it. I’ve drawn a rough picture of the craft, but because I don’t understand all of the mechanics I was looking at, it’s a very basic interpretation of what I saw. There’s no way I’d be able to recreate it exactly; that would almost be like trying to draw a circuit board, or an engine. As far as my feelings and reactions to the craft; I first want to say that I don’t recall ever feeling any fear. It was more along the lines of fascination and curiosity. I never felt threatened at any time. The first thing I actually remember thinking and acknowledging was that the craft barely made a sound. It was just a slight humming, and the wind didn’t stir or anything. The air was all calm around me. That was something that seemed abnormal to me, as though seeing this thing in the first place wasn’t abnormal enough. It seems like the next thought process I remember was the actual realization of what I was looking at. I vaguely remember thinking something along the lines of, “They really are real”, and somewhere deep down, it’s almost like I remember feeling a form of happiness. Almost like a familiar happiness; something I had felt before, or related to a feeling I had felt before. My memory of the craft itself pretty much ends about this time, so the memory of those last feelings are a bit muddy. Next thing I knew, me and my mother were walking up the porch steps to our trailer. My recollection comes back as I’m taking the first couple steps up the porch. I remember looking at the steps, my sight turned a bit to watch my mother’s feet go up the steps, then I looked at my hand which was being held in my mother’s hand still. I remember at that point looking up at my mother’s face; she looked straight ahead, and continued to walk to our front door. I remember thinking, “Why isn’t she saying anything? Does she know what just happened?” We get to the door and she puts the key in the lock, and it was at that point, before she turned the knob to open the door, that she looked down at me and asked if we just saw what she thought we saw. I just remember shaking my head, yes. She said that we shouldn’t tell anyone about it, and not to talk about it ever. We both went straight to bed, and I don’t believe either of us looked at a clock. Because of this last fact, I can’t say whether or not we lost any time, or if I simply lost my memory of the craft leaving and the walk home. The next day it ended up being all over the local news and radio that somewhere around 200 people (I believe more than that, actually) had been calling in UFO sightings all throughout the night, many of whom lived in our general area of the city. NOTE: The above image is a rendering. 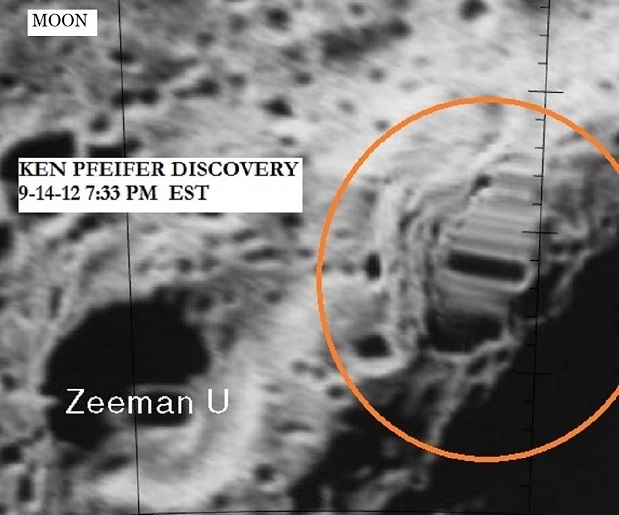 This case has been investigated by our Section Director Ed Dobson of MUFON New Jersey. This case is now classified as ”unknown ”. We are not allowed to classify a case as identified alien craft. On October 11 2013, I had driven to our local grocery store around 10:30 pm to grab some snacks as they were closing at 11 pm. It was storming outside but the trip there and back only took me about 15 minutes in total. As I exited my car to go inside my home I noticed an object hovering in the darkened sky to the South. Although I live not far from the local airport I am very familiar with aircraft flight patterns and this did not look like any aircraft I had ever seen in my entire life. I pulled out my Lumia phone and started the video recording mode. 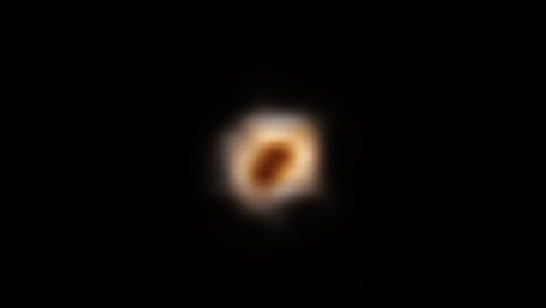 The object looked almost cylindrical and was illuminated from within. 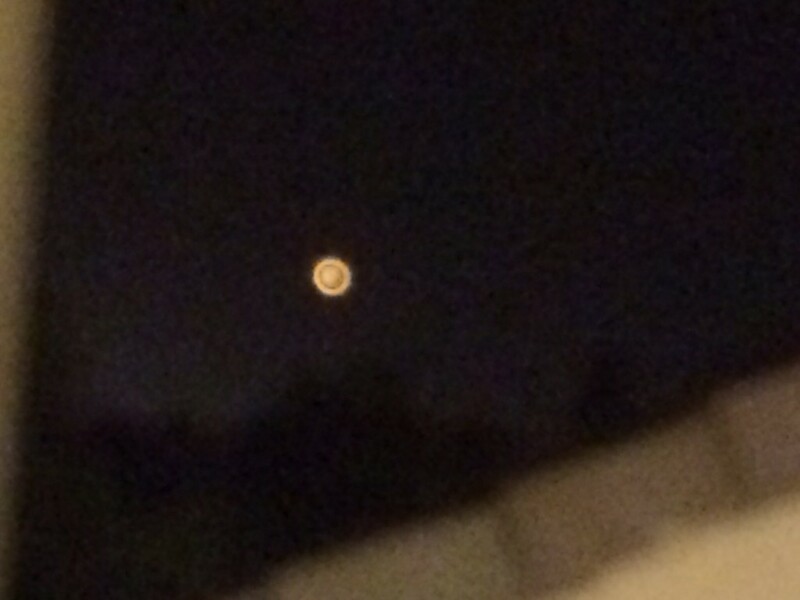 It just sat motionless in the sky slowly and randomly pulsating different colors. Even with all the lightning lighting up the whole area, I could still see it sitting there not moving at all. The sky was really flashing with lightning and it started to rain quite hard to I ran into the house to get out of the weather. Inside I started playing around with the phone trying to show my wife the video. As I had not had the phone very long I was unable to get it working to show her. I gave up after about 30 minutes and over the next couple of days it faded from memory. About 6 months later I discovered that I had cloud service for the phone data and lo and behold I was able to recover the video on my laptop. 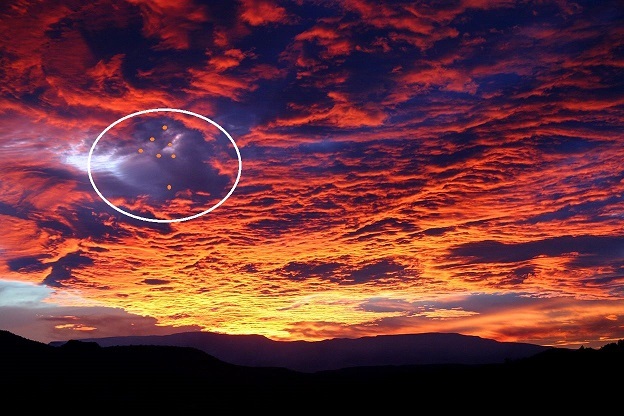 I was very happy to show my wife and son what I had seen that night, but what I hadn’t expected to see is what appeared in the sky along with what I had originally recorded. I was shocked to see to the right of the hovering object slowly appeared a shimmering cone of tendrils that seemed to sit motionless in the sky as well. It glowed and was bright enough to be seen even with the lightning going on. I had never heard of anything like it being caught on video before, so I hope to see if anyone else has reported a similar incident. KENS NOTE: The amazing part of this case file is that the craft seems to go into stealth mode when the sky is lit up by the lightning. Alien technology at its best. Check out the video below. Early in the 1952 UFO sighting wave two discs approached and paced a B-36 bomber in the vicinity of Davis-Monthan AFB, Tucson, Arizona. 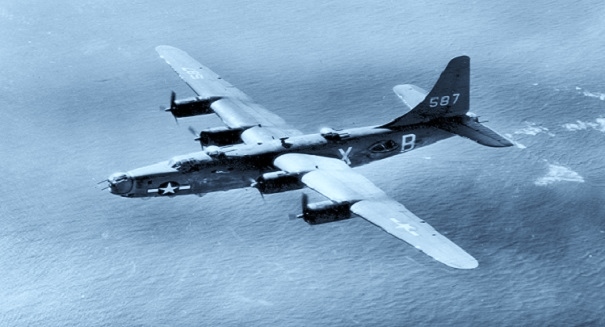 On May 1, 1952, Major Rudy Pestalozzi, a base intelligence officer, along with an airman, looked up as a B-36 flew overhead and saw two shiny discs overtake the bomber, slow to its speed and position themselves alongside. The bomber crew, startled by the experience, made an unscheduled landing at the base and were interrogated at length by Major Pestalozzi, who happened to be the base UFO officer. 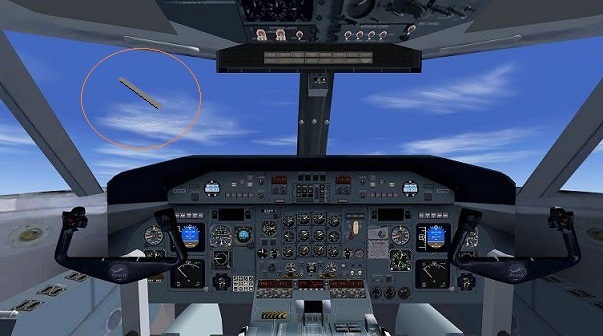 Members of the flight crew had crowded into the starboard blister aft of the wing and looked down at a slight angle to see the closest disc, which was lens- or double-disc-shaped and about 20-25 feet in diameter. 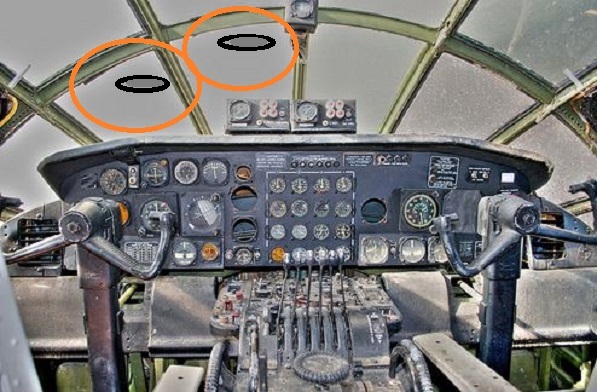 After about 20 seconds, the objects peeled off at an angle of 70-80 degrees from the flight path of the B-36 and sped away. Major Pestalozzi sent a comprehensive report of the incident to Project Blue Book. Within the next two months the summer 1952 UFO sighting wave reached a crescendo, generating national headlines and stirring up major Government interest, as radar repeatedly detected UFOs, and jet interceptors engaged in cat-and-mouse pursuits. NOTE: The above image is a rendering. DAVIS-MONTHAN AIR FORCE BASE…The base was named in honor of World War I pilots Lieutenants Samuel H. Davis (1896–1921) and Oscar Monthan (1885–1924), both Tucson natives. Davis, who attended the University of Arizona prior to enlisting in the Army in 1917, died in a Florida aircraft accident in 1921. Monthan enlisted in the Army as a private in 1917, was commissioned as a ground officer in 1918, and later became a pilot; he was killed in the crash of a Martin bomber in Hawaii in 1924. Hi there my name is Richard Davies and I live in Wales UK. The photos I would like to send to yourself are taken over 5 different nights/mornings between the dates of 24 April 2014 and 26 May 2014. I give you a brief example of my situation. It would be best as this is the first time I have attempted to share this with anyone and I have been looking at a few sights via google, so I thought I would try with you and see if you are able to help me. This all began when I went up to a mountain view in a place called Pontypool, which is in Torfaen Wales. I went up there around 3 am on my own with the intention of catching a nice early sunrise. Upon my arrival I noticed really strange activity in the sky. They were what appeared to be stars however way way lower, almost at horizon view point level of the human eye if that makes sense. Upon attempting to take photos of what I was seeing, I instantly felt very very uneasy almost as if I was not meant to be taking these photos. Now I found this just to be myself making it up in my mind as I would not go as far as saying I was a skeptic up to this point, but definitely struggled to believe in this area of life (aliens). I had previously been a skeptic about the spirit world until I had a strong message from a medium one to one, from my father who had passed away previously, a message so strong that I had to no longer hold on to my continued skepticism as I knew beyond a shadow of a doubt what was said and way it was said confirmed to me the existence of a spirit world, or energy if you will. Therefore I was finding it hard to believe what I was seeing but as a result of being proven wrong on that front, I needed to accept the possibility of what I was seeing. The reason I give you this prelude is I felt a strong presence around me as I took the photos, now as a result I got into my car for safety. 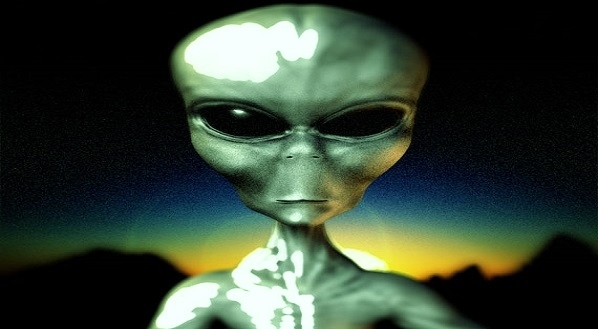 Once in the car it felt like I was being watched, I looked into my wing mirror of my car and I could clear as day see something stood in near by bushes watching me, as I took continued footage of the UFO activity. Now what happens next is hard to believe and just to show the level of almost my own disbelief. I had to take many photos. I have not in any way done anything to these photos. I can assure you, I send you these photos to if anything, try yourself to debunk them and tell me it could be something else, however if upon studying them you see what I see, then please can we go forward from here. Should you be able to make something of these photos, I am happy for you to publish them. Just please reply and let me know what you think about this. Since that day I have returned to the same location around 8 different nights and we are always without fail seeing strong UFO activity that keeps getting stronger and stronger. There is more to the overall story but I am worried of youR belief in what I have to say or indeed the photos I have, so if I begin by sending you a selection of what has been taken. I would be very grateful if you could please study them and get back to me asap. NOTE: This witness has send me over 100 photos and some are incredible. Apparently there is something very strange going on in this location of the United Kingdom. Special thanks to the witness and photographer Richard Salon Davies of Wales. I was a soldier serving in Cyprus in 1958. Myself, a subaltern officer and a driver had visited an internment camp for EOKA men in the Troodos mountains. After we had made our visit we continued along the dirt track road in the Landrover until the road became hazardous. Whilst the driver turned the vehicle around the officer stretched his legs and I climbed up the steep side of the trackside towards a clump of bushes to use the bathroom. As I arrived at the bushes, which were about four feet high, I looked over and saw that they were on the ridge of a hollow. About twenty five feet away in the opposite side of the hollow two figures were bending over and looking intently at a boulder. They both stood up and looked directly at me. The striking thing about them was that they were both very white in appearance, as if wax, with very little features. 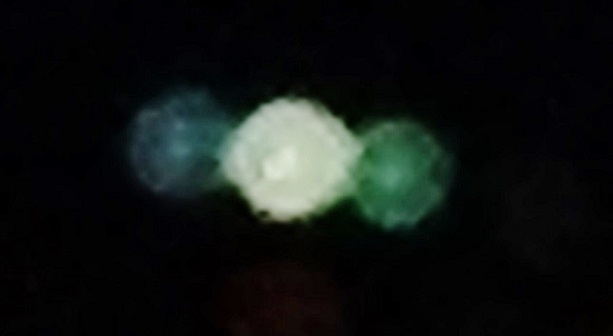 I could only see the upper part of them and they appeared to have eyes and what I thought was their head had no neck but seemed to be part of their body. They just stood and stared at me; I turned and rushed down to the vehicle and urged the driver to leave immediately. I did not tell either of my companions what I had seen because I could make no logical conclusion for what it might have been. Those things, whatever they might have been, looked nothing like the images we see of aliens and if they had been, they would most certainly have challenged me. We were at a good altitude and a considerable distance from any village or settled habitation. I have puzzled over it since that time. 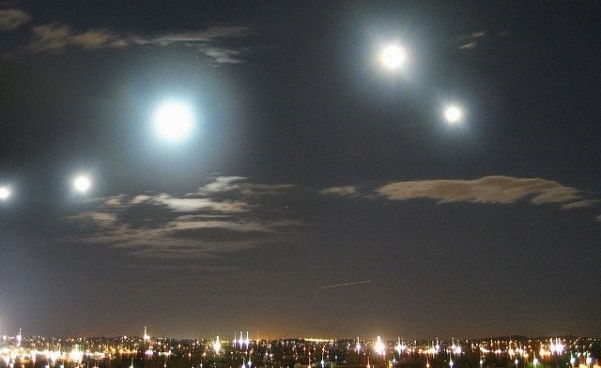 There seems to be a recent increase in UFO sightings around the world, and one interesting one from Down Under. The Australian Transportation Safety Board has the following report. Near collision between an unknown object and De Havilland DHC-8, VH-XFX, Perth Airport, Western Australia on 19 March 2014. Investigation number: AO-2014-052. On 19 March 2014, at about 0913 Western Standard Time (WST), a De Havilland DHC-8, registered VH-XFX, was on approach to Perth Airport from Kambalda, Western Australia. When about 23 km north-northeast of Perth, at about 3,800 ft. above mean sea level (AMSL), the crew sighted a bright strobe light directly in front of the aircraft. The light appeared to track towards the aircraft and the crew realized that the light was on an unknown object, possibly an unmanned aerial vehicle (UAV). 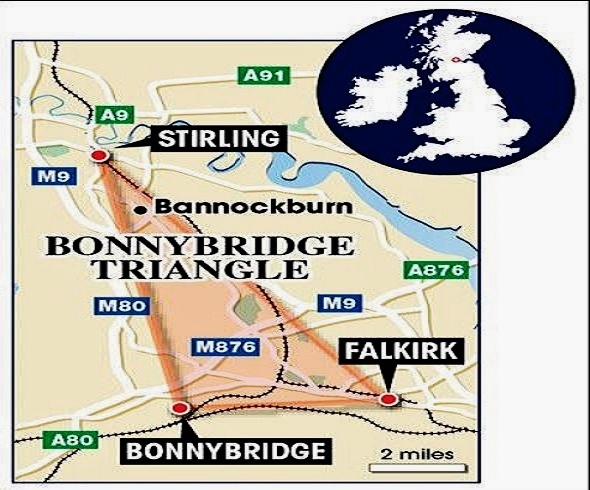 The pilot took evasive action turning towards the west to avoid a collision with the object. 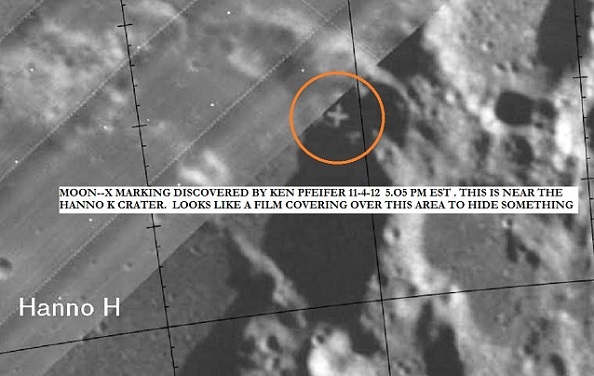 The object passed about 20 m horizontally and 100 ft. vertically from the aircraft. 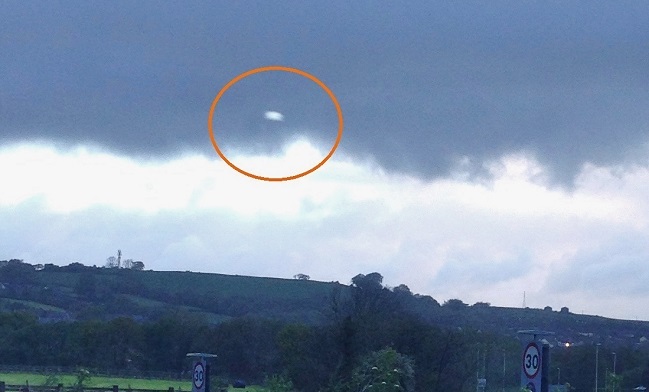 The pilot reported that the object was cylindrical in shape and grey in colour. It was at about 3,700 ft. AMSL and in controlled airspace. The crew did not receive a traffic collision avoidance system (TCAS) alert. The airspace below 3,500 ft. AMSL was military restricted airspace. The ATSB was advised that the Australian Defence Force was not operating UAVs and was not aware of any UAV operations in the area at the time of the incident. The ATSB was not able to confirm the details of the object or identify any UAV operator in the area at that time. UAVs are increasingly available to recreational operators and their operation outside of the regulations may pose a significant risk to aviation safety. For anyone going to cry cover-up, it is not the responsibility of the ATSB to investigate UFOs, only air travel safety and identification of existing and potential threats to safety. “The ATSB was not able to confirm the details of the object or identify any UAV operator in the area at that time.” But that does not rule out the possibility of a privately owned unmanned drone either. Never the less this is an interesting report. NOTE: The above image is a rendering and special thanks to Henry Paterson. I brought my nephew camping because his father was not really involved with him and the kid needed a positive influence in his life. I camped on the pipeline because it has a nice view and was accessible with my 2wd truck. It’s far enough off the beaten path to get a sense of really camping. I had to go around a metal gate to get access to the pipeline. It is posted. I found a flat area that had a nice view of the valley. It was pretty cold, 20-30 degrees F and a perfect starlit night with no snow. I prefer winter camping, crisp air and no bugs. I set up the bags in the back of the truck and we collected some firewood to make a fire. Pretty sure I made a fire pit. We were sitting around the fire for a couple of hours I guess. It was possibly 10pm – 12am, not sure. I had no watch. I remember seeing what I thought was a helicopter probably a mile down the pipeline with a bright search light on. First thing I thought was, “Oh s**t, we’re bagged for trespassing”. I didn’t make an effort to run because I didn’t see the point. After about 10 minutes, I noticed that the helicopter was getting closer but wasn’t making any sound. Where we were was dead silence. No traffic, just the sound of a slight breeze through the branches. I was perplexed to say the least. The craft, I now noticed, maybe ¼ mile away wasn’t a helicopter, but a black triangular craft with a dull white light on each corner and a searchlight was centered or slightly to the front and seemed fixed and a fairly narrow beam. Being in the Air Force I have a pretty decent knowledge of flight characteristics of fixed wing and rotary aircraft. Now I was a little freaked. All types of possible explanations were racing through my head trying to justify what I was seeing and how this craft was moving, hot air balloon, ultra light, but nothing fit. When the craft was about 1/8th mile away, the search light turned off and it moved sideways to the left behind the trees. I was thinking, “That is insane”. I thought that was it. I was wrong. I guess about 2 minutes later it came right over the trees where we were and was just hovering there. No sound whatsoever. Nothing. I could see its outline perfectly because of all the stars. It was a slightly elongated triangle about the size of a passenger bus. The dim lights on each corner were sill lit but very dim. The searchlight was off. I could see the branches of the trees swaying slightly but only the sound of the breeze through the branches. I can`t remember any sound at all from the craft. I remember I had a Glock handgun in the truck and was thinking about getting it. I can’t really explain what happened next other than I had a feeling of complete calm come over me. The next thing I remember is waking up in the back of my truck. My nephew was in his bag. I was in mine. I was freezing and had to urinate really badly. I got out of the truck. The fire was out and I noticed about half mile down the pipeline the craft with its searchlight back on slowly following the pipeline on the opposite side of the road. I finished up, got back in my bag and fell asleep. We woke in the morning and didn’t say much about it. My nephew still thinking it was a hot air balloon. He was about (5-7) at the time. To this day I try to remember what happened in that time and it’s like it’s been erased from my memory. NOTE: The above image is a rendering.